Nature is behind many of the top tourist attractions in Finland. It may be home to Nokia, one of the world’s leading phone manufacturing companies, but it is blessed with unspoiled nature and stunning scenery. Locals are well aware of this that even though they live in a technologically-advanced country, they spend their summer months in cottages around beaches and lakes for relaxing activities such as swimming and fishing. 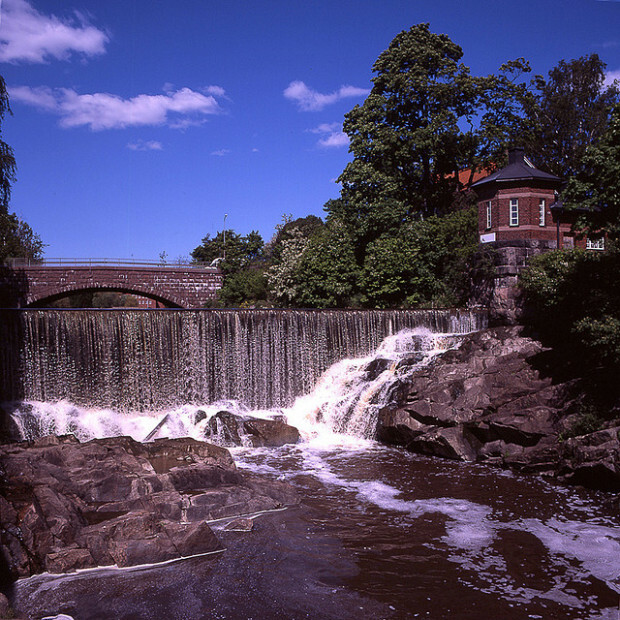 The Nordic country also has an interesting past which left it with numerous historical attractions. The old town is characterized by its wooden architecture and has become one of the finest examples of a traditional Nordic city. Rauma is also one of the world’s biggest and most beautiful wooden towns. There are more than 600 buildings here and many of them are privately owned and well-preserved. The typical house in Rauma is called a kirsti. It is a small fisherman’s house. Don’t miss this awesome Norwegian destination! The island offers a quick escape from Helsinki as it’s only a few kilometers away. Not only does it give you a peaceful break from the city, it also acts as an outdoor museum that represents four centuries of Finnish history. Old mansions and estates from all over Finland were moved here but you will also see small cottages and farmhouses to represent the country’s different regions. Walking around Seurassari Island is a delight for any nature lover as well because of its beautiful sceneries. The fortress hails from the later half of the 18th century. It was built to aid Sweden in protecting the eastern Baltic region from Russian invasion. Suomenlinna spans across six islands near Helsinki and is part of the top tourist attractions in Finland. It’s renowned for being one of the world’s biggest and strongest fortresses. It is a medieval castle built in 1475 on an island connected to the mainland. Like Suomenlinna Fortress, its purpose was to protect Finland from Russia. St. Olaf’s Castle was originally ordered by Eric Knight Akselson Toth but subsequent kings who lived there contributed to its current eclectic architecture. Each year the grounds of the castle and fortress are used as a venue for the Savonlinna Opera Festival. Petäjävesi is an old wooden church that exemplifies northern architecture. It was constructed by a peasant from 1763 to 1764. Its facade and rooftop are characteristically Gothic in architecture but simple in design. The interiors are marked by intricate designs and craftwork such as handmade arches and carvings. Nowadays, the church is a major tourist spot. The national park encompasses a woodland growing on mountains from 2 billion years ago as well as islands and a lake. Locals consider it a magical and sacred place. Despite its seemingly uniformity, there is a wide variety of animals and plants thriving in the area. So there you have it, just some of the great tourist attractions to enjoy in Finland. So, book your tickets, pack suitcase and hit the road! Bon Voyage! Posted in Finland and tagged with Europe, Finland. RSS 2.0 feed.